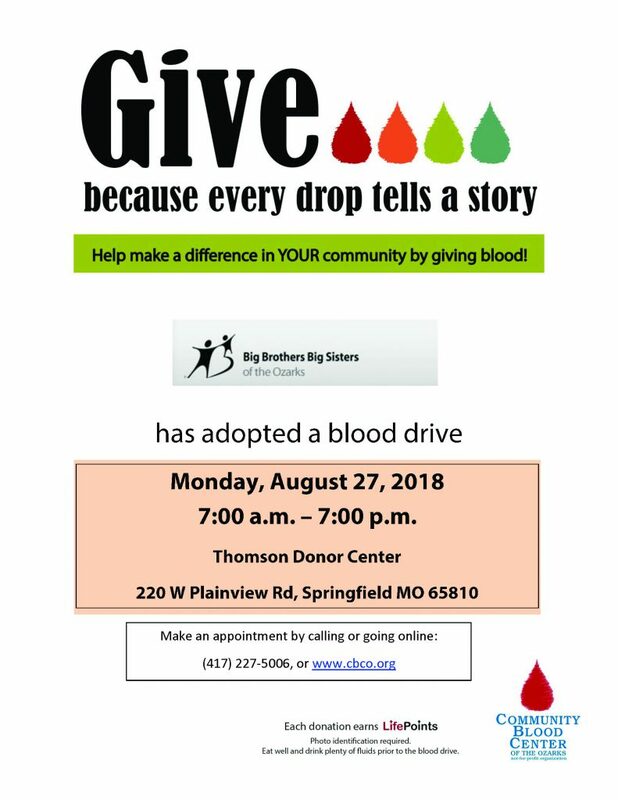 Big Brothers Big Sisters of the Ozarks will have a table in the Donor Café at CBCO’s Thomson Donor Center in Springfield, Missouri, as they Adopt a Drive on August 27, 2018. They also have a bin in our parking lot where people can donate clothing from which 100% of the proceeds benefit Big Brothers Big Sisters. Drop by the blood drive any time between 7:00 a.m. and 7:00 p.m. Thanks, Lifesavers!